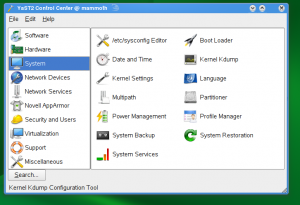 All of you probably know YaST, the installation and system configuration tool for openSUSE. 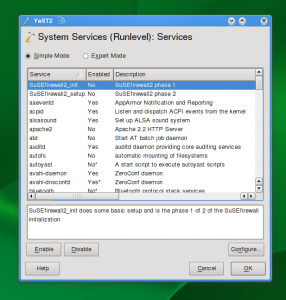 With current YaST, plenty of tasks that system administrator could image are doable using understandable UI: creating users, bootloader configuration, network setup and even Apache configuration. However, it has its drabacks. 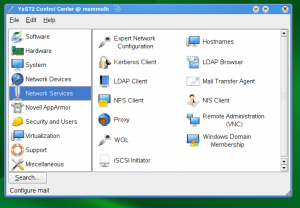 While being do-it-all tool, it comes with large package dependency even for only simple tasks. It is largely written in an outdated language which has its roots in last century and only few people in the world know it. It lacks the testing abilities of modern languages. It is SUSE specific and lacks larger developer community. Now, this “YaST++” does not actually mean to be replacement of current YaST (with its Qt/GTK/ncurses UI), but it could replace the lower layer of YaST, which is doing the real system configuration. And it would be open for other library users as well: the obvious targets for now are WebYaST and SUSE Studio, but we’d like to see if other tools are interested: even from non-SUSE world. From architecture point, YaST++ is itself divided into two layers, we call them YLib and config agents. YLib is the high-level library, providing the API (like ‘create user’, ‘set new time zone’ etc.). 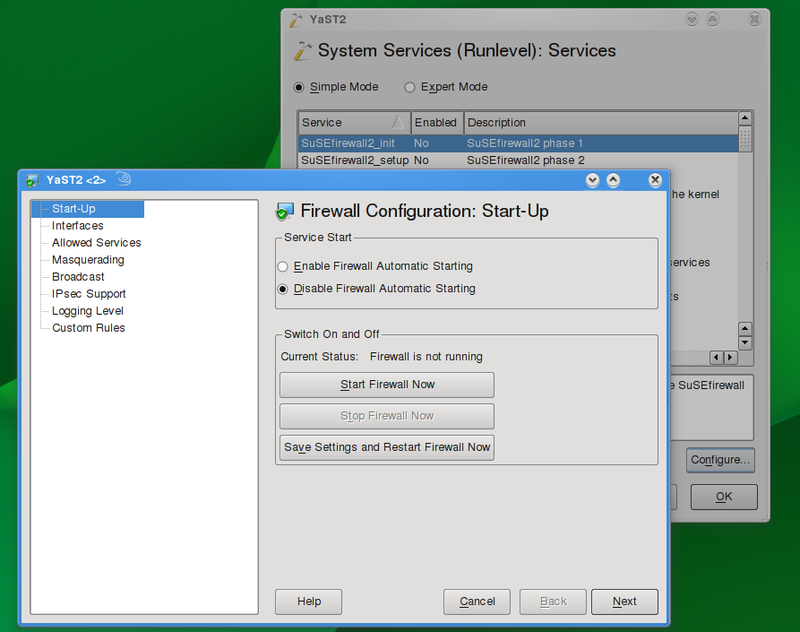 Config agents form the lower layer, that is actually touching the system. This low level consits of D-BUS services, which are running as a root (thus have the full access to the system) but are started only for users with proper permissions (we are using polkit for policies definition). So YaST++ offers role based access management, where specific users can be allowed to do specific sets of actions. For more, check our architecture document (still WIP). YaST++ developement is in its early stage (even the name is not final), but we already have something to offer. Check the code and documentation at github project. There’s already a simple tutorial for those who want to try writing new parts. Download packages from Build Service project. Comment/propose/oppose in public YaST mailing list. With the release of GNOME3 I would assume that people are interested in seeing how YaST2 (suggestion: rename it to YaST3 !!) is going to take form with GTK3. Of course this means eventually writing another application in GTK3, hopefully different from the old gnome-control-panel ‘style’ which was actually pretty confusion from the user point of view as it was far too close to gnome-control-center, thus confusing new comers. Today we want to present the current development of snapper, a tool for managing btrfs snapshots. For years we had the request to provide rollbacks for YaST and zypper but things never got far due to various technical problems. With the rise of btrfs snapshots we finally saw the possibility for a usable solution. 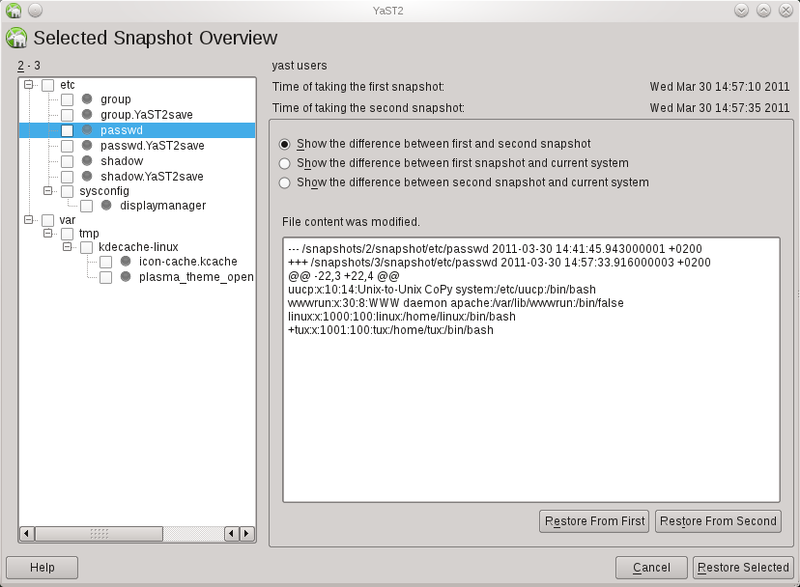 The basic idea is to create a snapshot before and after running YaST or zypper, compare the two snapshots and finally provide a tool to revert the differences between the two snapshots. That was the birth of snapper. Soon the idea was extended to create hourly snapshots as a backup system against general user mistakes. The tool is now in a state where you can play with it. On the other hand there is still room and time for modifications and new features. 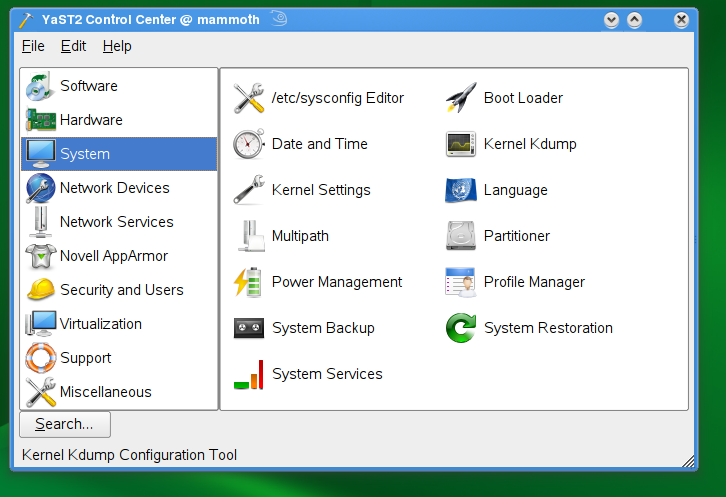 # snapper create --description "initial"
Snapshot #0 always refers to the current system. Snapshot #2 and #3 were created by YaST. Snapshot #4 was created by an hourly cronjob. Finally yast2-snapper provides a YaST UI for snapper. Playing with snapper should only be done on test machines. Both btrfs and snapper are not finished and included known bugs. 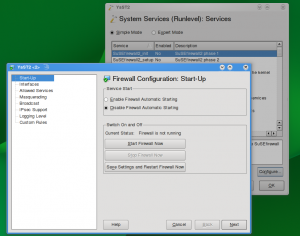 Here is a step-by-step manual for installing and configuring snapper for openSUSE 11.4. We would like to get feedback, esp. about general problems and further ideas. There are also tasks everybody can work on, e.g. the snapper wiki page or a man-page for snapper. For the time being there is no dedicated mailing-list so just use opensuse-factory@opensuse.org. If you would like to cleanup regularly your System, we presenting the following Steps! For quite some time, we had user requests (fate #100386) to provide the logging that would be readable to users (= not only YaST developers). Such logs should provide the information what certain YaST action is really doing to the system and exclude all the internal debug info our y2logs are full of. Martin and Stano created some concept and added new logging functions y2usernote and y2useritem. These log to the new log file, /var/log/YaST2/y2changes (or $HOME/.y2changes). The question which is still not resolved is how should we use these functions? Which events our modules produce should provide description as “note” and which should provide “items”? What level of complexity should be presented to user? Should we log the real actions, just like commands passed to system agent or rather the explanations of the actions taken? Or both? Let’s go to the example. The changes are already in FACTORY version of yast2-users packages (yast2-perl-bindings needed as well), so you may even try yourself. Here, the user knows more about the real changes, but the log file is getting a bit less readable again… still I think I’d prefer it. I think the last method is getting more talkative and actually is not more helpful. (*) Actually it would need to be cached during the UI-clicking and logged at the time of writing only if user doesn’t cancel the actions. Ok, lets see the code of PushButton.ycp ! // Build a dialog with one button and two labels. // then close the dialog and terminate. You have written only one code , which can be used in two different gui environments graphical and text mode! In my next blog i will write about creating own SCR Agent. Writing wrapper packages for server applications or a generic YaST module? As we get more and more PHP-, Perl- and other applications like openSIS, Koha, Moodle, … in the Education repository, the question turns up, how to package those applications “the right way”. For the Education project, I’m currently thinking about two ways to make the life of the admins easier. First: think about “wrapper packages” around the normal packages. I’ll take moodle as example. The normal moodle package installs the php-scripts, an apache configuration and some other config stuff – but will not setup the complete moodle instance. So the user has to install the mysql database himself. An additional wrapper package can do this for him. This package comes with a SQL-Dump of the current moodle version (therefore requires the exact moodle version), and uses a stored mysql-root password to create a new database and insert the database-dump. If needed (for example: the user enables the “user LDAP-Auth wherever possible” checkbox in a (to be written) yast-edu module), additional tasks can be triggered by the wrapper package. When should this YaST module be started? IMO it could be enough to let the user start it manually and select the package he wants to configure. => No adaptions of the current workflows is needed. But perhaps there are other options (like calling it via “SuSEconfig”)? Who can write such a module? Who defines the config syntax? I think, there’s room for many enhancements in this area – what do you think ? 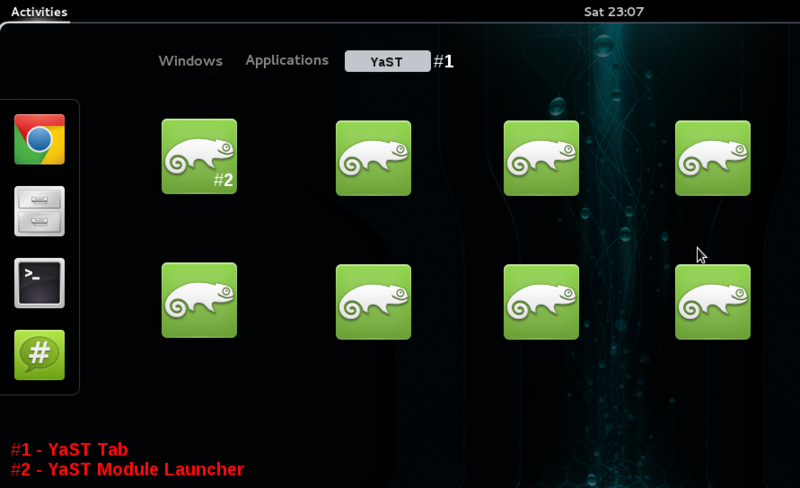 Should/Could we produce something like a “Windows-Installer” for openSUSE? Or is it enough to provide special “wrapper packages”? Or is “what was hard to write, should be hard to install” still a valid answer? Today, I’ve played a bit with an idea to allow starting of YaST Server module from the YaST System Services module. This approach could be used even further. 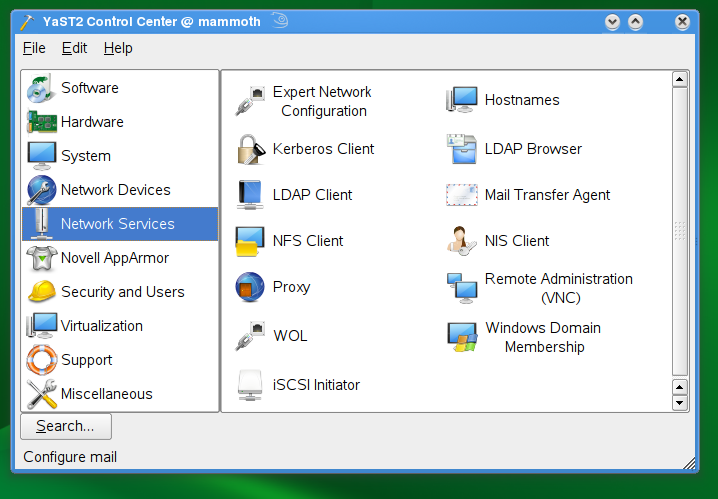 You can see that the ‘Network Services’ section contents do not really match the section name anymore. In fact, most of the items could be moved to other modules as well. E.g. introducing a module for authentication/authorization, which would cover Kerberos client, LDAP client, etc. The NFS client is in fact a part of the new Disk Partitioning module already. So, the section could vaporize completely. However, there are drawbacks. The biggest one I see is a ‘starting point’ problem. Just imagine you want to have a Apache2 running in your system. Until now, the YaST HTTP module is installed and can be used to bootstrap your configuration – it will install the packages and help to set up the basics. But with the new approach, the apache2 package is not installed, therefore System Services module would not see the apache2 service (init script) and does not show it at all! I’m not sure how to address this. Maybe the best would be to attach the YaST module to apache2 package or HTTP server pattern and the Software Management module would become such starting point. Would it be better? I don’t know. Then, there is an issue of a quick access – if you are moderately experienced user, you know what you are looking for and you start a proper module right away. But to figure out what is the configuration starting point if it’s hidden in another module, that might be a blocker. I’m sure there are more problems. Anyway, I find the idea quite useful for reducing the number of YaST modules. What do you think?